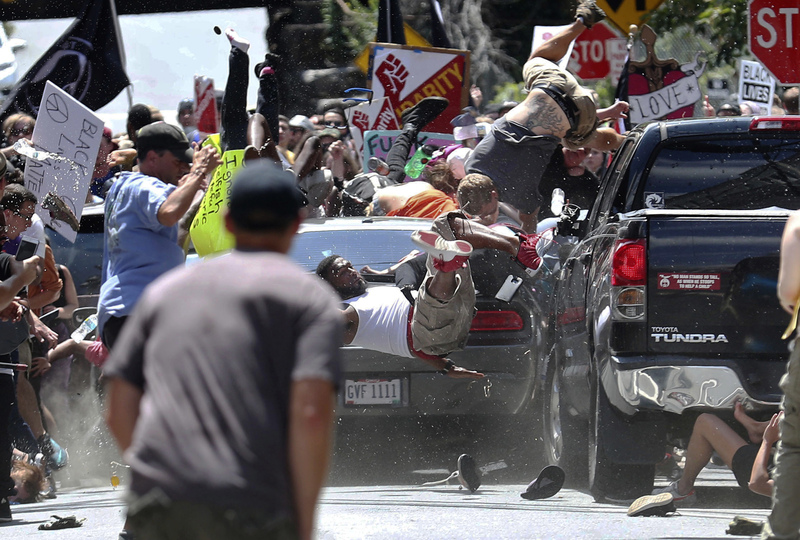 Is Ryan Kelly's Pulitzer Prize-winning photograph an American 'Guernica'? Jennifer Wenzel does not work for, consult, own shares in or receive funding from any company or organization that would benefit from this article, and has disclosed no relevant affiliations beyond their academic appointment. At first glance, the photograph is nearly impossible to make sense of visually or politically. Cars are not supposed to drive into pedestrians; fellow citizens are not supposed to kill each other over political differences. And there’s so much in the frame of the image – so many figures and forms crowded together, most only partially visible – that you can’t take it in all at once. To make sense of the painting, you must do the work of reassembling what has been rendered apart. Yet you will never make sense of such destruction. You cannot merely glance at this massive painting or take it in all at once; you must stand and look and witness. There is nothing beautiful about it. It refuses to console. However, in the painting’s abstraction – its matte shades of gray, its distorted figures that stand in for the wounded and the dead – there is a kind of mercy toward its viewers and these victims. As he kept reworking “Guernica,” Picasso painted over a raised fist he had initially drawn near the center of the canvas. Then – as now – the raised fist is a symbol of solidarity against fascism. It makes an eerie reappearance on two posters in the top third of Kelly’s photograph. Kelly’s photograph redirects these injunctions to the viewer, who’s left to wonder whether this is what our democracy – or the state of our union – looks like.